This wicked, disordered world and the chokehold unforgiveness can have on our life. Also, our local March for Life ends in a little square in our downtown area. There is always dog poop everywhere–on the grass, the cobblestone walk around…if I let my children poop in a public place and then just left it, the world would lose its ever-lovin’ mind!!! But because it’s someone’s “fur baby” it’s mildly appropriate? I may need to take a long walk on my treadmill this morning, I’m feeling a little angsty. My beloved washer and dryer do their thing. 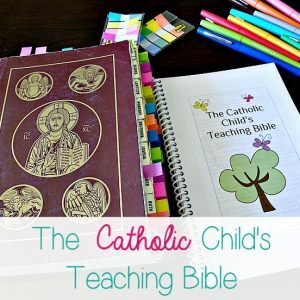 My Catholic Journaling Bibles–Catholic Journaling Bible and Inspire Catholic Bible NLT. 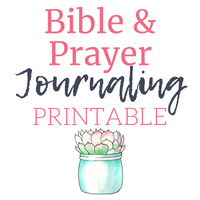 Here’s a post where I compared the two Journaling Bibles. I kind of foresee doing more verse mapping this year than creative journaling? Maybe it’s just how the year is starting out? My brother and his family are coming at the end of the week and we are so excited! It will just be a short overnight trip but still!! And of course, that means a major house clean, so win-win! I’m going to cry out like St. Paul, Lord why do I do the things I don’t want to do and don’t do the things I want to do? Translated, why don’t I effectively meal plan, and then stick to the plan and the budget? To feel my best I need to move, get sunshine, drink water or watered down juice, stay warm, read my Bible, pray, laugh, eat good food, take hot baths, go to Adoration, guard my thoughts…just a reminder for myself and maybe you will benefit as well. Almost every night I post a list of the essential oils we’ve used that day over on my Facebook. It’s amazing how quickly they have become a part of our everyday life. And I’m not worried about possible side effects using them like I am with medications. Get ready friends! I’m starting the new year with a blog redesign! It should be completed soon. It’s so pretty with soft, soothing colors. Everything should be easier to find. Let’s pray it’s not one of those projects where things get worse before they get better. May I suggest you just lean into the Liturgical Year? Not the Liturgical teas and cupcakes and six-course meals…unless that’s totally your thing. I mean into the way the Church moves through time and seasons. Follow her natural rhythm of rest and celebration. I’m so excited to switch all our household cleaners over to Thieves. Here’s a video sharing how using Thieves will save money and detox my home. Remember, today is the last day of the 10% off Flash Sale on the Desert Mist Premium Starter Kit and three free oils from me. Read more here! Welcome new friends! How about a #fridayintroductions to get ourselves acquainted? My name is Jenny and I am the shadow you see in the picture.⠀ ⠀ 1. My home is filled with quilts my grandma made. She died last October and I’m still hit hard with grief some days.⠀ 2. Honky Tonk music, Budweiser or Coors, and the smell of cigarette smoke permeated my childhood, except for when I was with my grandma mentioned above.⠀ 3. I still love some good Honky Tonk and can separate it from the memories.⠀ 4. I’m the oldest of 2, or 3, or 4, or 5, just depends on how you want to count it all up.⠀ 5. I have gone through some dark places of depression, anxiety, and obsessive thoughts and have come out on the other side with a kick a$$, take no prisoners, beat all that stuff down into submission attitude for myself and others. Like I can’t stand that junk!⠀ 6. I wish I would have known about the power of essential oils when I was struggling to breathe through the hardest of the hard. I know they could have quickened my pace through the darkness.⠀ 7. Even though I’m on the other side, I still occasionally fear going back. It was hard and sometimes I wonder if I could make it back through again.⠀ 8. We all have our blips in the road and now when I come to one, I immediately pull out my tool box of #selfcare : walking, sunshine, essential oils (Frankincense, Cedarwood, and Orange are my go to oils right now). If you want to get your sweet little hands on those oils let me know. I also evaluate my sleep, take hot baths, drink more water, go to adoration, and prioritize quiet time.⠀ 9. I write at The Littlest Way and joke that I’m either the lamest Online Bible Study leader or the most relateable. 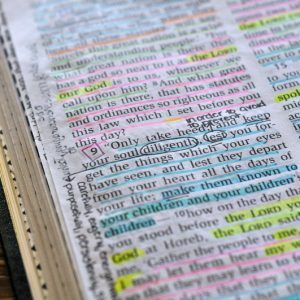 I’m not afraid to tell you I read my Bible almost daily and don’t understand lots of it. I still read it.⠀ 10. 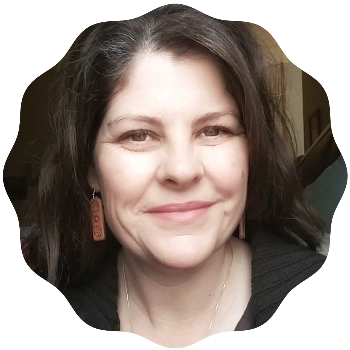 If you want to talk about the Bible, Jesus, trying your best even when it doesn’t look like you or others think it should, or how essential can improve and support your health and wellness, I am totally your girl–preferably over chips and salsa.